Grover Pro was founded with one clear goal; to manufacture the world’s finest percussion products. Over the past 39 years we have worked tirelessly to achieve that goal. 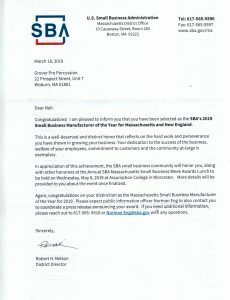 Today, we’re thrilled to announce that our accomplishments are being recognized by the US Small Business Administration!